Applicant Anatoliy Bondarchuk failed to fend off a petition for cancellation of his registration of the mark MARC CHAGALL for vodka. 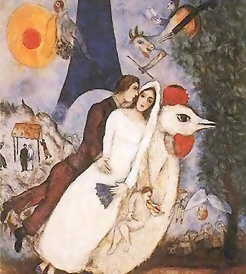 The Board not surprisingly found that the mark creates a false suggestion of a connection with the painter Marc Chagall, in violation of Section 2(a) of the Lanham Act, and it therefore sustained the petition. 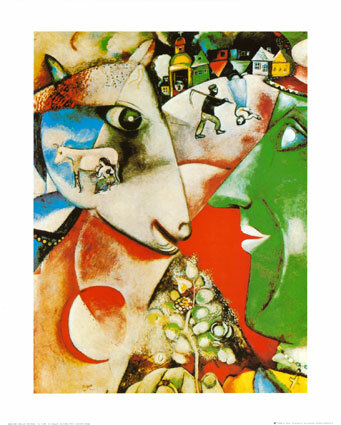 The irony is that Chagall’s paintings always struck me as the kind of thing you would, indeed, find at the bottom of a bottle of vodka. Animals and people getting just a l-i-i-i-ittle too close… fowl showing up in the most inappropriate places … lots of questionable aloofness — flying around in the air, that is. 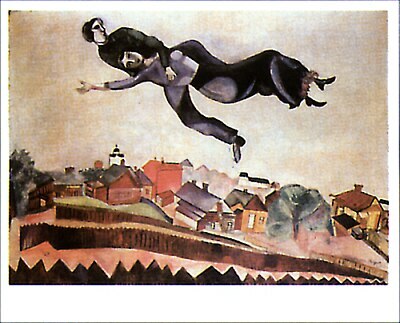 I always thought these paintings looked as if Chagall had stayed for one l’chaim too many. Or that he had a very odd family, indeed. 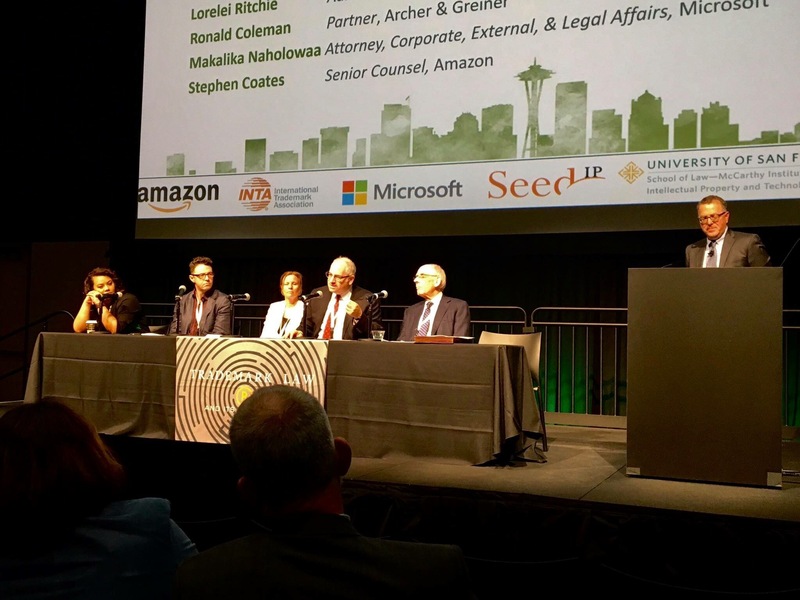 Maybe so — but it’s not for Anatoliy Bondarchuk to profit from it, and so too says the TTAB.